I know many friends and colleagues who have been taking Glucosamine supplements and most of them are in age forties to seventies. It seems that taking Glucosamine supplements is a new trend for older folks. It is supposed to help you to maintain joint flexibility and mobility by keeping them strong and supple. Some of my friends even take calcium tablets in addition to glucosamine. When I intend to start taking Glucosamine tablets – to see the effect it has on my knees, I saw that there are so many brands of this supplement on the shelves of the pharmacy store. 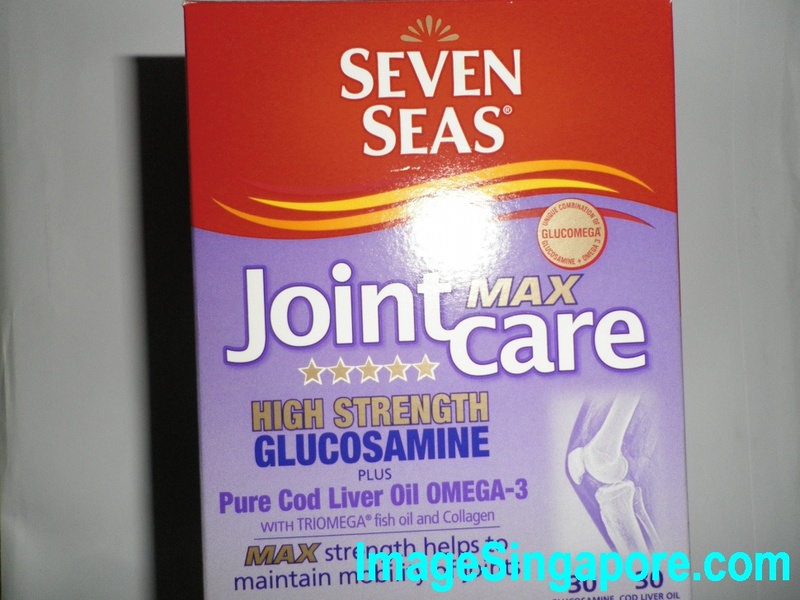 After going through countless brand of glucosamine supplements, I decided to buy the Seven Seas Joint Max Care supplment. There are 2 capsules that I am required to take – one cod liver oil capsule and one glucosamine capsule. The cod liver oil capsule has Omega 3 and collagen in it; and the glucosamine capsule is a high strength type – same level of Glucosamine Sulphate 2KCI ( 1500 mg). 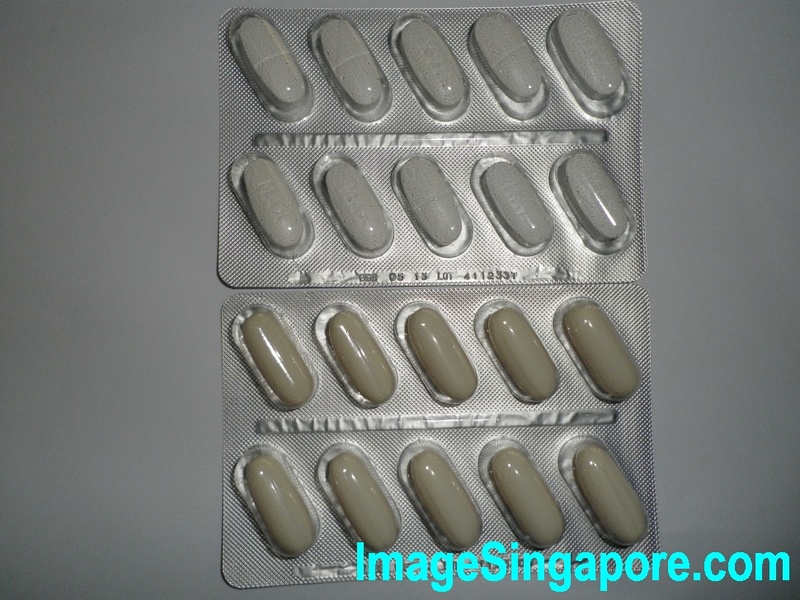 The size of the capsule is really big; so I am not sure whether most people are able to swallow it whole. But on the instruction stated on the box, it says that you can actually break the glucosamine pill in smaller pieces to ease swallowing. According to dosage instruction, I should take it on a daily basis. But what I did was to take it on alternative days instead. This is because I wanted to see whether there are any side effects on my body after taking it. After consuming it for 2 weeks, I did not experience any positive or negative effect on my body. Perhaps it was due to the fact that I took it on an alternative day basis instead of daily basis. Finally after 2 months, I have completed the whole course of supplement in the box ( normal daily dosage would be one month ). My experience is that I am not sure whether I am better off after consuming the glucosamine supplements. But the positive side is that the cod fish capsule contains cod liver oil and collagen which I think is good and beneficial for my health. For the effects on my knees, I used to have some aching pain on my knees on a random basis; but now it less frequent. I do brisk walk regularly for about 4.5 km in the evening. So I think taking the glucosamine supplement may help to relieve the ache and maintain my knees and joints in good condition. So the final question is this – will I continue buying the Seven Seas Joint Max Care supplement? The answer is yes. I think the Seven Seas supplement is the only one in the market that has a separate cod fish oil capsule and a glucosamine capsule. So by taking it, I am having complete benefits for my joints and body.